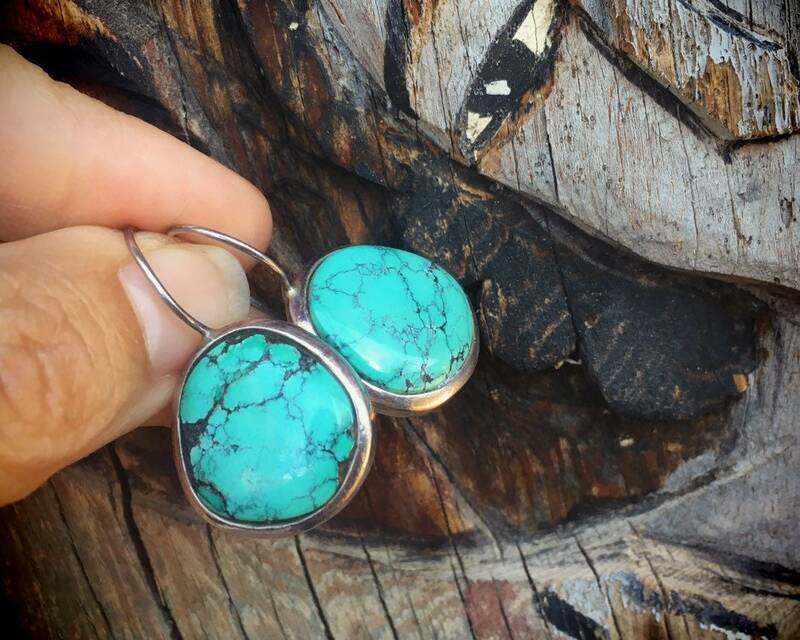 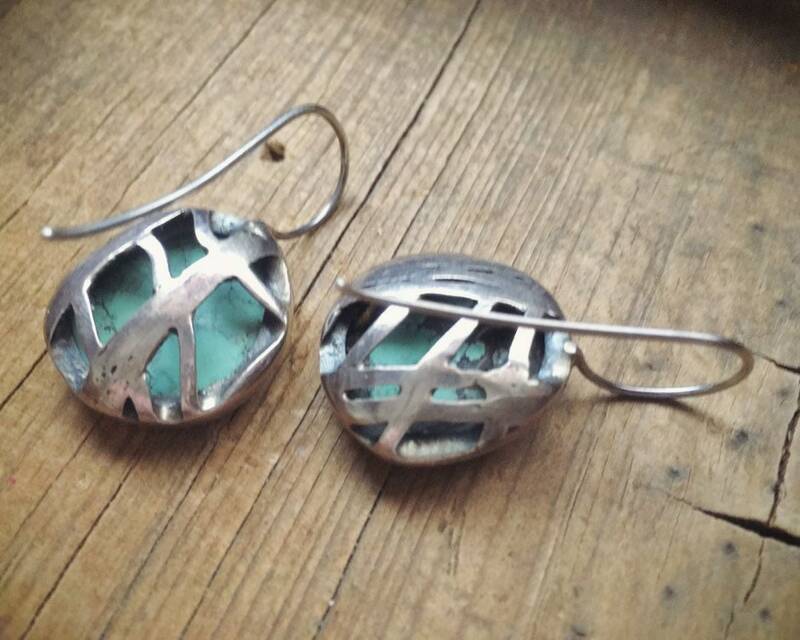 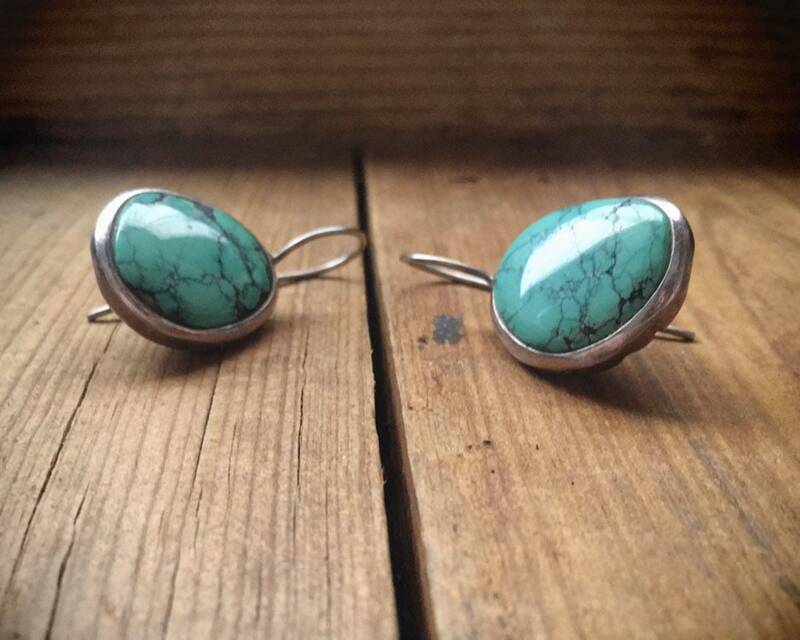 These vintage turquoise earrings are sure to become an everyday pair with their simple roundish shape and gorgeous blue-green natural turquoise. 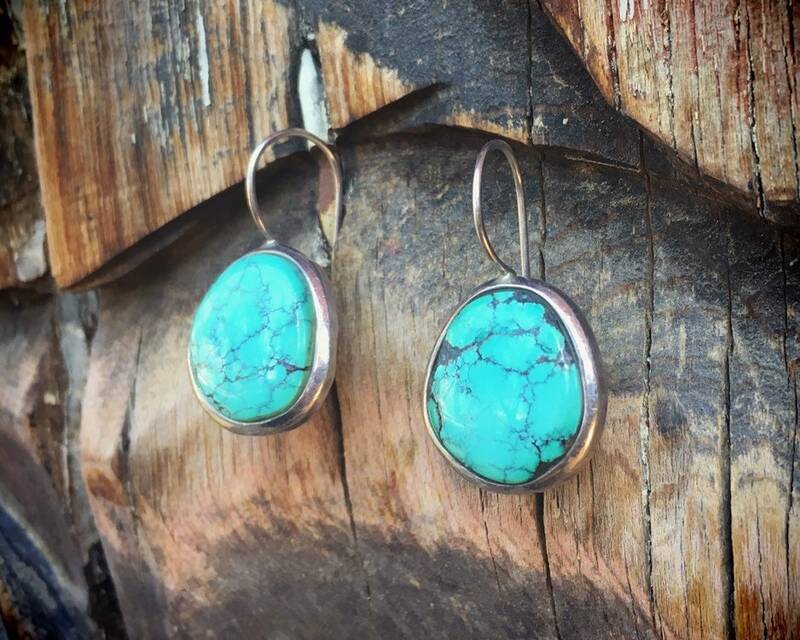 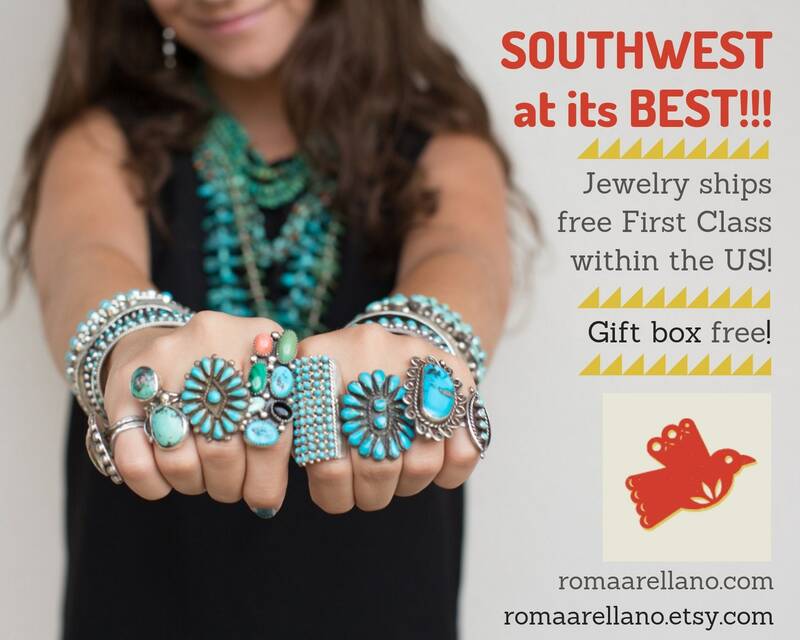 The turquoise has black webbing, and we believe the earrings are Thai. 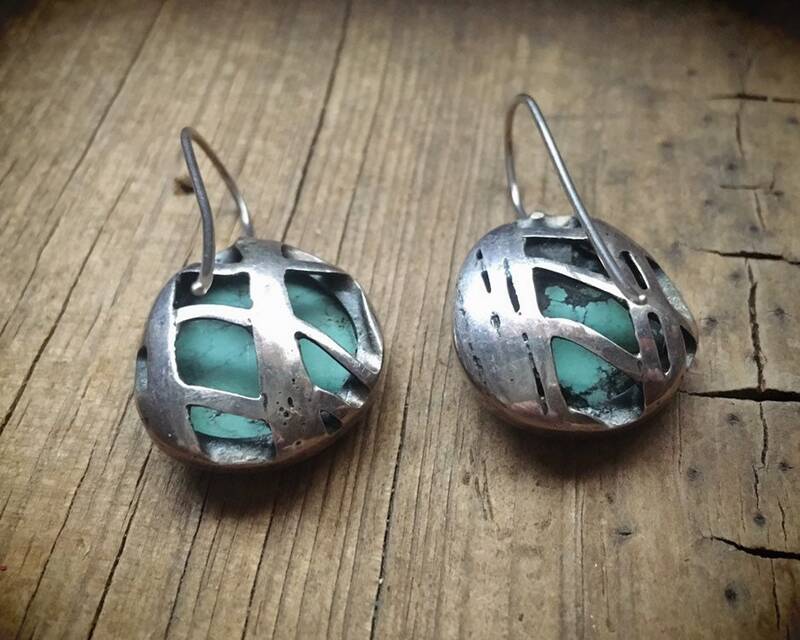 They do carry a faint 925 stamp on the back of one of the earrings. 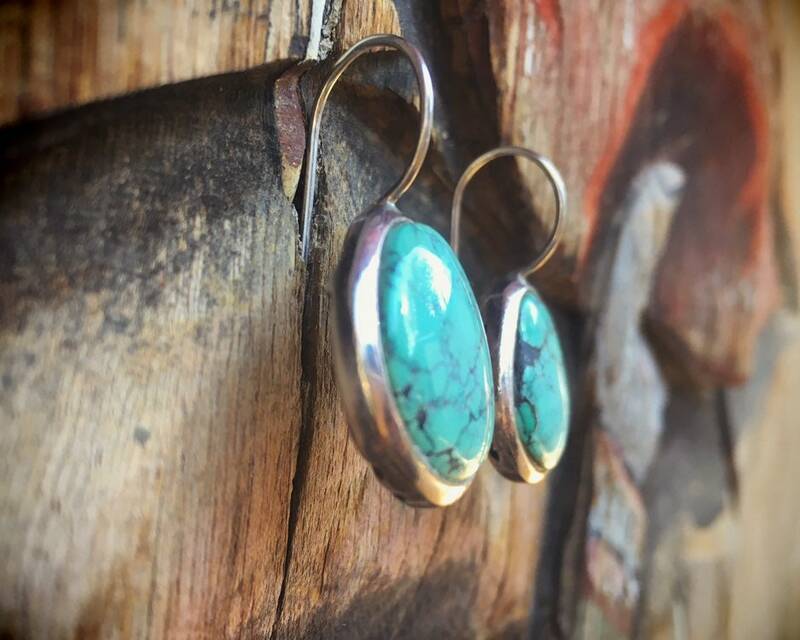 The bezel includes a large hand-shaped French hook. 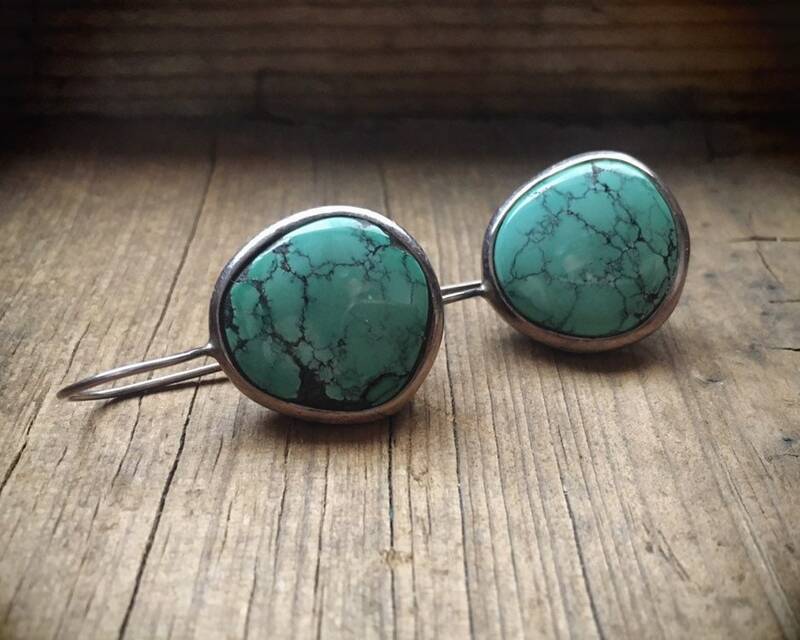 Cool boho look that is versatile and can be worn by anyone--regardless of age. 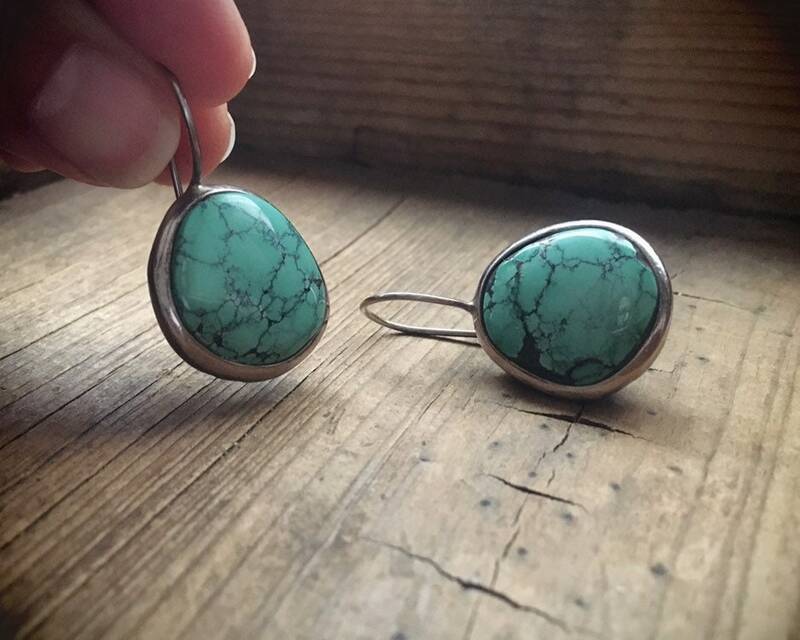 Each earring is about 3/4" wide by just under 1" long not including the French hook and closer to 1-3/8" total length. 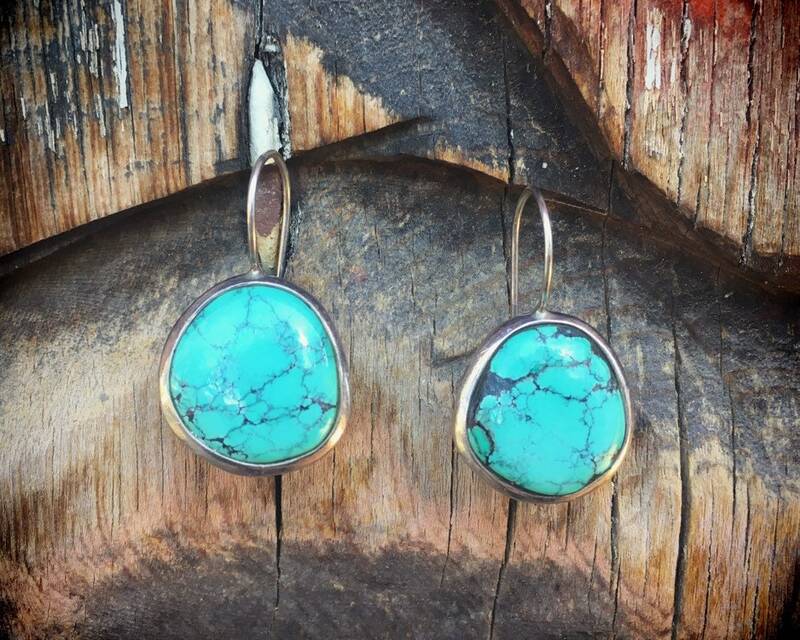 Some small scratches on the silver bezel but the turquoise is well seated and in good condition.